Whether you are interested in heading to the beach for surfing and watersports or learning more about the cultural history of the Algarve, Faro has a fantastic range of varied things to do. Here is our guide some of the top sights and attractions to keep you entertained on your holiday. Without doubt one of Faro’s most stunning attractions is the Ria Formosa Natural Park. It is a beautiful coastal lagoon with a number of islands that was recently voted one of the 7 Natural Wonders of Portugal. You can explore the lagoon on boat tours with the chance for fantastic wildlife watching or simply enjoying the view. Flamingos and purple swamphen are plentiful here, making Ria Formosa a paradise for birdwatchers. Faro is close to three large beaches, set across the barrier islands of Ria Formosa. 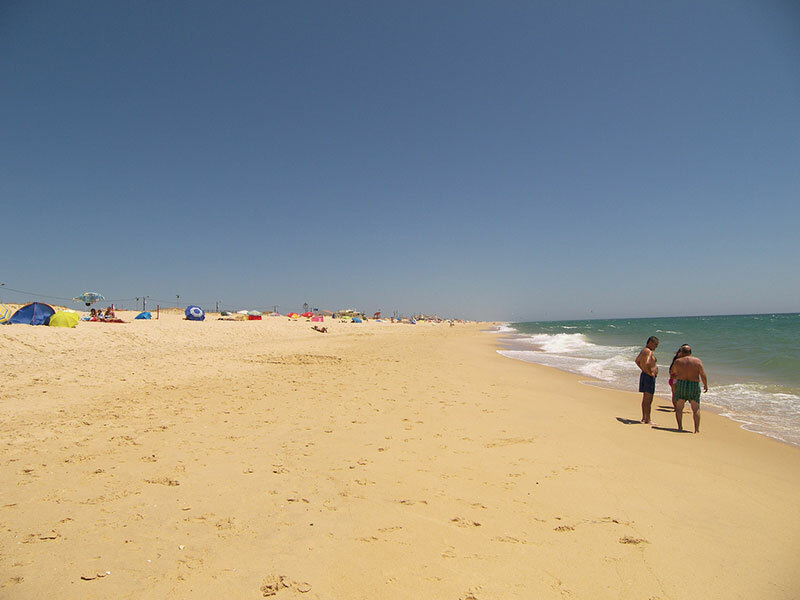 The most well-known and popular is the Praia de Faro, which is the closest to the city and the only one of the three that is accessible by land. This means it is the most developed and also the busiest – you can do everything from sunbathing to watersports. If you’re looking for something a little different you can catch a boat out to Ilha da Barretta, also known as Ilha Deserta. Here you’ll find a 9km stretch of virtually deserted beach. Similarly, Ilha da Culatra has two tiny villages with no roads or cars making the beaches even quieter than Ilha Deserta. Faro has a number of museum and exhibitions showcasing different aspects of the history and culture of the city and the whole of the Algarve. At the heart of the city is the Museu Municipal, which charts the history of Faro including periods under Roman, Muslim and Christian rule and how the place has evolved over time. A little way outside the town centre, you can find the Faro Jewish Heritage Centre. This is a cemetery that holds 76 beautiful marble gravestones as well as a tiny museum that features a number of artefacts and original furniture from an 1820 synagogue. Some of the other major points of interest in the town are the churches. Undoubtedly worth a visit is Igreja do Carmo. It is pretty but unassuming from the outside with a white façade and twin bell towers, dating back to 1719. 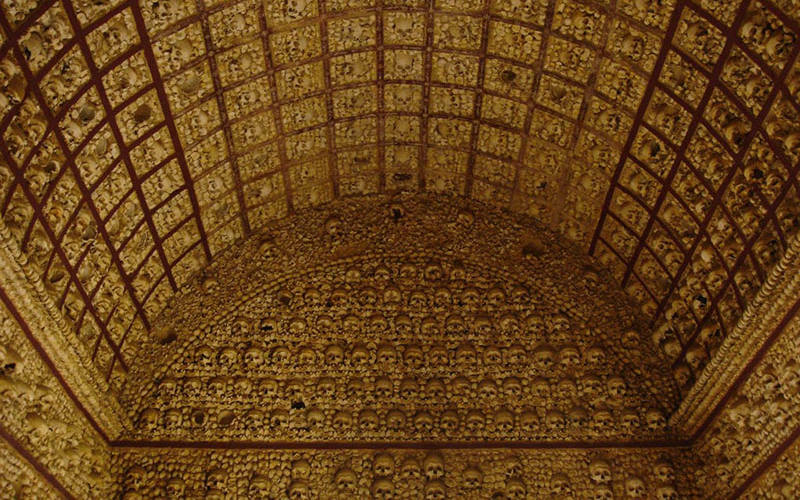 But the main reason to come here is to see the rather macabre but captivating Capela dos Ossos or Chapel of Bones. Built using the bones and skulls of 1,245 monks buried in a nearby cemetery, the chapel was constructed in 1816 and is undoubtedly one of the city’s unique features. 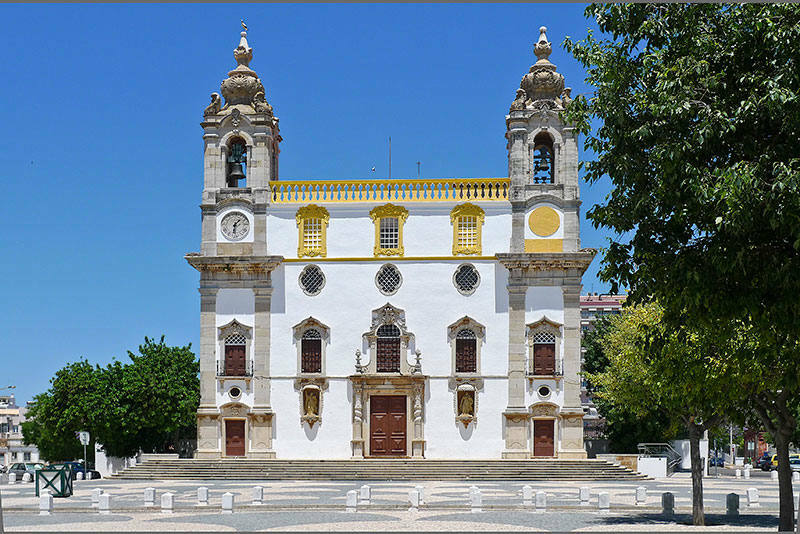 For more of the cultural heritage you can see the cathedral, known locally as Se de Faro. An impressive piece of 13th century architecture, it is one of the National Monuments of Portugal. Faro is also one of the major transport hubs of the Algarve and makes for a fantastic base for day trips and excursions to other towns and attractions in the region. The vibrant nightlife and party atmosphere of Lagos is around an hour’s drive away – this is also the location of a stunning beach that is worth visiting. Alternatively if you head to the north you can find the village of Estoi, which is known for its eye-catching pink palace which was constructed in 1909.